Your Brain is What You Eat! We all have heard the saying, you are what you eat. 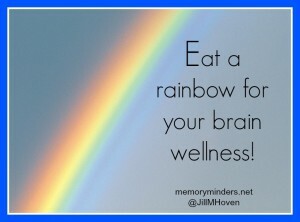 At MemoryMinders we also say your brain is what you eat! Eating healthy, not only benefits your body, but your brain too. Research is continually pointing us to certain foods for our brain wellness. Generally, a diet high in antioxidants, Vitamin B, Omega 3 fatty acids and fiber is what I suggest to many of my clients. Two of those foods were recently highlighted in some new research showing a correlation between a diet and memory. One included insight on walnuts and reducing the risk, onset and progression of Alzheimer’s disease. Walnuts are a great food as they have antioxidant properties as well as alpha-linolenic acid (ALA), an Omega-3 fatty acid with brain and heart wellness benefits. Walnuts are a brain-healthy add in to baked goods, salads, or even made into a pesto for pasta. Walnut oil can also be used in salad dressings. Another interesting study showed the part of the brain that declines in association with age related memory loss improved with a diet high in the antioxidants found in chocolate. Although the amount of cocoa antioxidants (flavanols) consumed by participants in the study was higher than what we would consume normally, it reinforces the advice we share at MemoryMinders: dark chocolate is the best chocolate choice for your brain wellness. 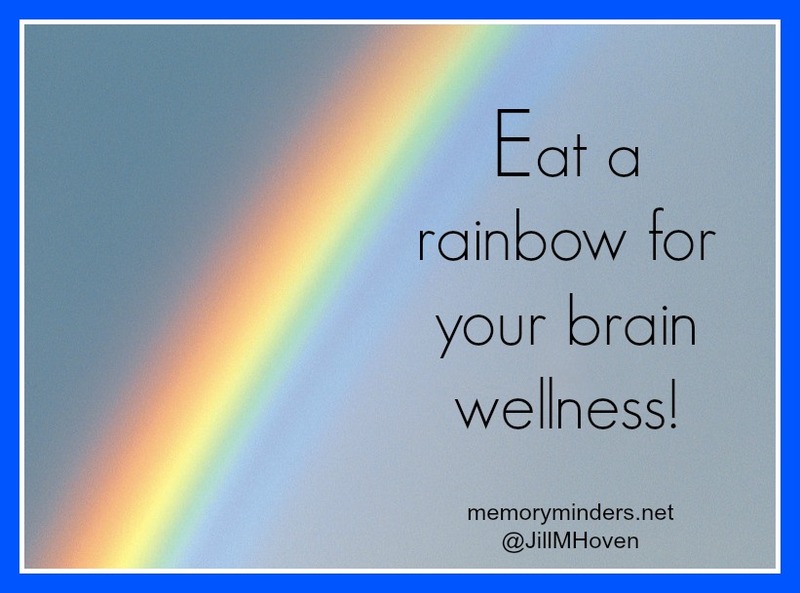 To help remember all the foods that are beneficial for our brains, at MemoryMinders we remind our clients to “eat a rainbow”. When eating a rainbow, you are including a variety of colors with each meal. A variety of colors usually means you are getting a variety of valuable fruits, veggies and brain healthy foods. Eating healthy and taking care of your body also helps in taking care of your brain and memory wellness. So eat a rainbow, have some walnuts and dark chocolate because your brain is what you eat!